There are little houses in Kerala without a Jackfruit tree in their front or back yards.When I was young we had a tree in the back yard and we used to tie long ropes on its woody branches to make the traditional "Onam Swing".My mom used to make a variety of dishes with the "Idichakka",the young green jackfruit and many traditional sweets with the fleshy and tasty fruits. 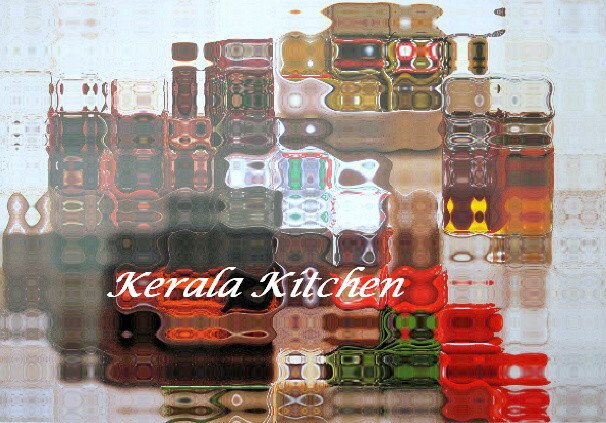 Venamengil chakka verilum kaykkum...is a famous malayalam proverb, meaning; Hardwork turns anything possible! or Hardwork succeeds!. Here's a spicy traditional Kerala recipe of the young green vegetable dedicated to the Essence of Kerala Cuisine. Deskin the chakka.A little difficult job but I found out the easier way of chopping the spines off and hard cutting using "Aruvamanai",the knife of Tamilnadu,wherein both the hands can be used effectively!. 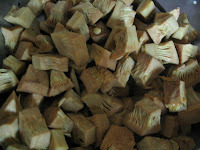 Make the deskinned chakka into 4 quarters by cutting lengthwise.Remove the excess hard stem in the centre.while doing this,be careful not to chop it off completely.Let a part of it be with the pieces to keep the tender fibres of the vegetable intact.Cut into equal sized cubes. Pressure them in enough water to keep soaked along with the turmeric powder and salt.Cook till soft. Drain away excess water.Never retain the water as it would be blackish, bitter and has no nutritive value. Heat oil in a wide nonstick kadai,splutter mustards,brown the urad dal and add the crushed shallots and garlic.Fry lightly till the aroma fills around.Now add the cooked pieces,chilly and coriander powders.Pour a little water to coat the pieces with the spices.Stir occasionally.Do not close the pan.Add the pepper powder and the curry leaves.Check and add salt if needed. Fry till the pieces turn darker and roasted. 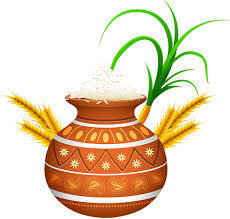 Serve the mezhukkupuratti with rice or chapathi. I love this but no chakka here so no thoran too.thanks for the link. 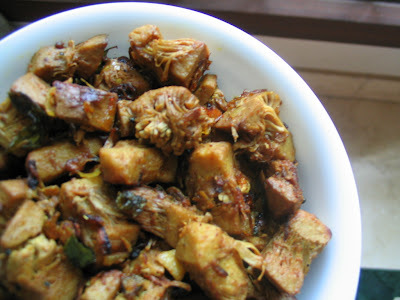 hey the jackfruit dish looks great. 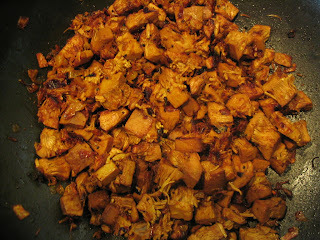 Me too totally new person on this blog .I love jackfruit.but not avilable here .Thks for the recipe. 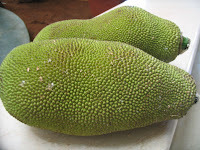 I spent summers in my grandfather's coffee estate with plenty of jack fruit trees.I love the baby or young raw jack fruit dishes.Unfortunately,we don't get those here! jackfruit mezhupuratti!! wow!! new dish. happy vishu! nice recipe bharathy..my grand mother used to make this dish when i was a kid..now my grandma is only a memory and i realy miss those dishes very badly.. hey..thanks for the recipe..sure give it a try. thanks for dropping by!! 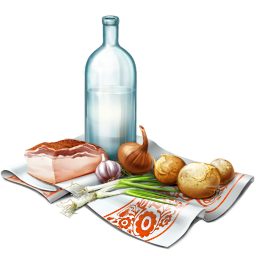 loved the recipes in ur blog. esp. this one. its my favorite. but we get only frozen ones here Ghrrrr..
Shaheen,thanx for linking in the portal. and sharmi..Welcome to you.. 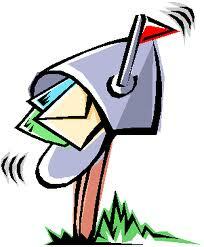 I need your help for something,will Email you later..